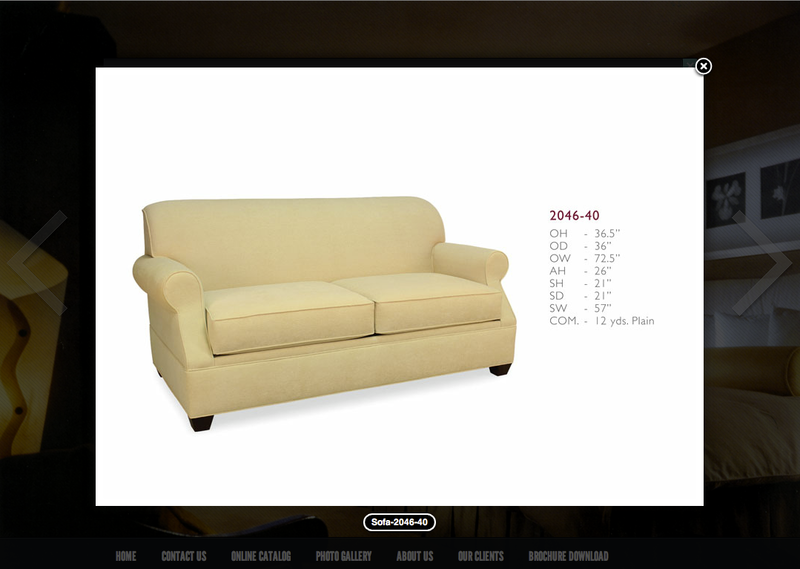 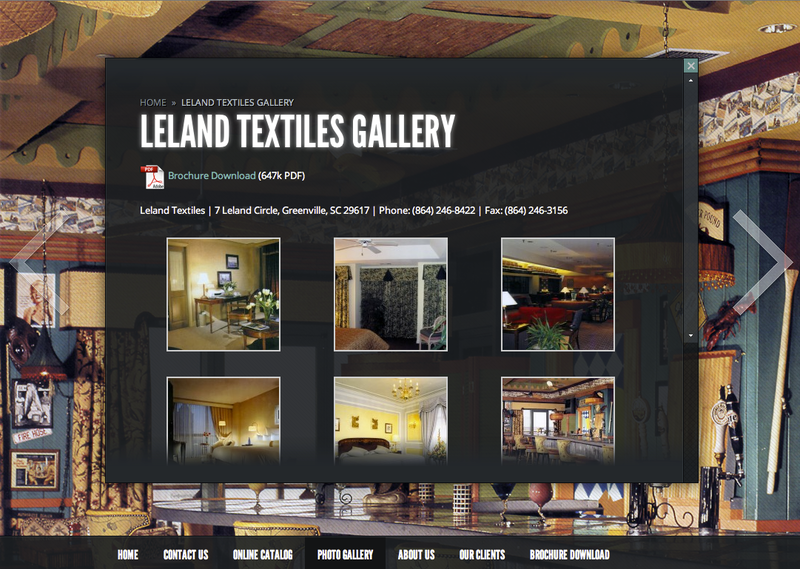 After 30 successful years in business Leland Textiles decided they wanted a website. 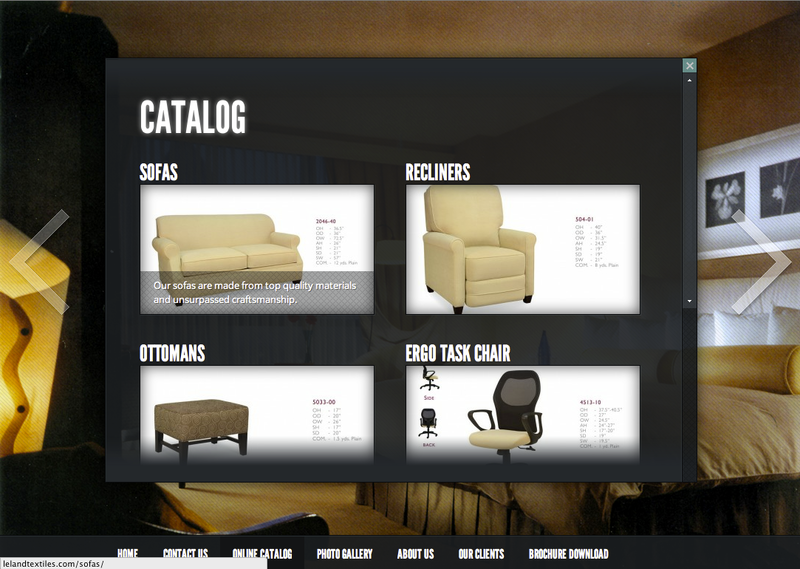 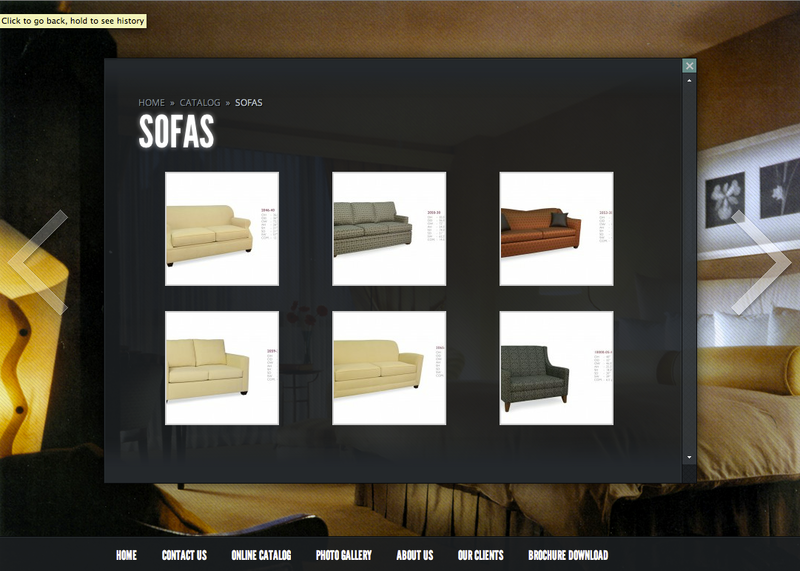 We originally discussed a small, static build that would basically be an online brochure. 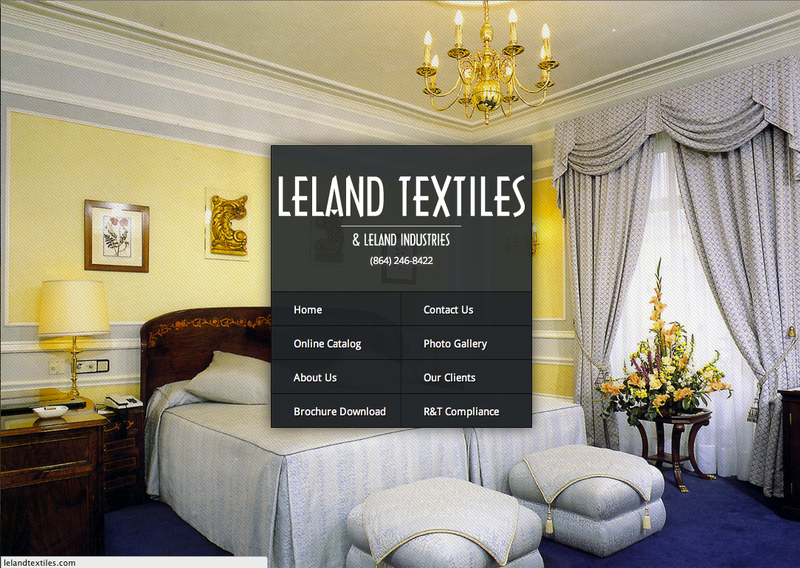 But after several conversations and getting a feel for what they would really like the site to be used for, we ended up with a beautiful, interactive and modern delivery that integrated perfectly with their new business objectives. 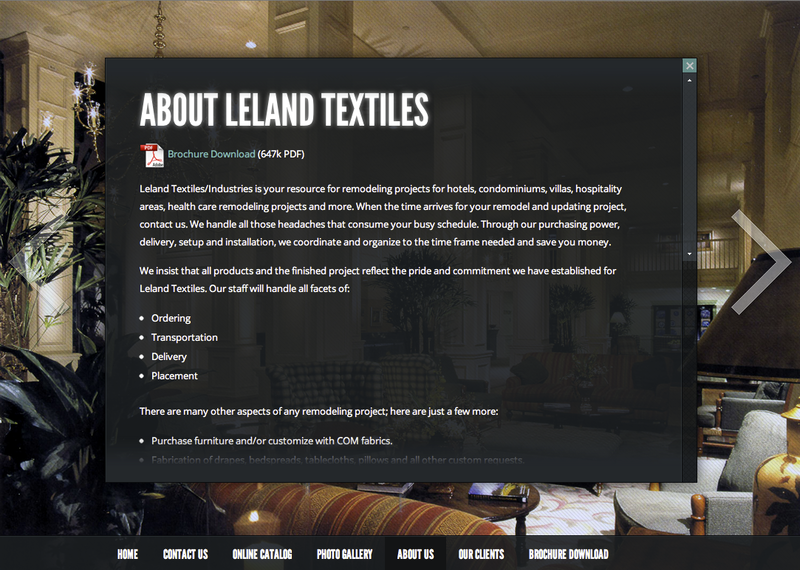 The screenshots really do not do it justice, go to http://lelandtextiles.com to experience the full flavor.